Give us a call at (713) 322-9893 and we'll assist you with your abatement or remediation needs. Schedule an appointment for a Certified Project Manager to inspect the site. If testing show positive, a licensed professional will begin the abatement or removal process and correct the issue. Asbestos Ace in Houston is a leader in environmental safety. Year after year, we provide exceptional asbestos removal services in Houston’s Metro area. Safety is our top priority during the testing, removal and containment process. We continue to provide quality service when handling asbestos testing and removal. Our experience and highly trained staff is skilled in the latest environmental service techniques to make sure your home or office building remains free and clear of asbestos and other potentially harmful substances. When you call us, you can be sure that our team goes above and beyond to ensure your complete satisfaction. In many areas of the U.S., asbestos has created a serious problem for both contractors renovating older structures and the do-it-yourself weekend warrior bringing their older home up-to-date. The substance has a nasty reputation and rightfully so. 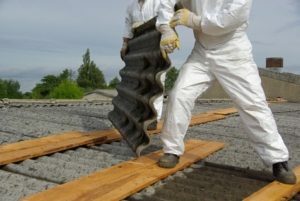 That is because asbestos was a commonly used material in construction for many years before scientists and doctors discovered its harmful long-lasting effects on people. Since that fatal discovery, builders have been prohibited from using asbestos during the construction process. 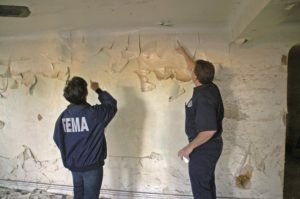 It’s great news that such a harmful substance is not used for building construction, but for those homeowners or contractors updating older structures, the former process is a burden on the renovation process. So, is working with an asbestos removal Houston specialist right for you? In a word: yes. Because the substance is banned, it is necessary to remove any asbestos found during renovation. However that process can be costly because it takes the expertise of qualified professionals to handle the delicate process. When choosing someone to make your home or building free and clear of asbestos, it is crucial that you thoroughly research the quality of the company you are considering. You want to ensure you will be turning your home or office over to the experts. Weekend warriors; your efforts are great, but for this particularly dangerous job, you need not apply.. Instead, do your homework and hire the right company from the start to save money and time. Asbestos Ace in Houston, TX is that company. Our experienced professionals carefully examine each structure we work on to uncover and test areas where asbestos is suspected. We understand we cannot afford to take risks or make mistakes as the health of you and your family (or employees) is at stake. During our asbestos testing process, our team works carefully to assess the structure in question inside and out. In addition to careful measures, our staff makes a diligent effort to educate clients about common environmental safety measures and ways to keep your home or workplace mold and asbestos free. Additionally, we are commitment to preserving the planet as well. Our owners and staff go out of our way to keep updated on the latest “green” equipment and techniques available to remove asbestos and mold without utilizing the harshest methods. Our clients hire us expecting the highest quality in service. In return, we do our best to ensure your workplace or home is safe and free from asbestos or other harmful substances. We inspect everything from schools and hospitals to residential properties and office buildings. Our team is standing by and ready to bring you the best in asbestos testing and removal in the Houston area. The sooner you call us at 713-322-9893, the sooner we can help!